A universal solution for mounting upright LCD or DLP projectors up to 50 lbs, the Chief LCDA240C holds projectors on an adjustable tray and allows you to tighten the mount for a secure fit. Ideal for portable installations in offices and small businesses where the projector is taken down frequently for traveling, the LCDA240C provides independent adjustments for quick, easy registration. 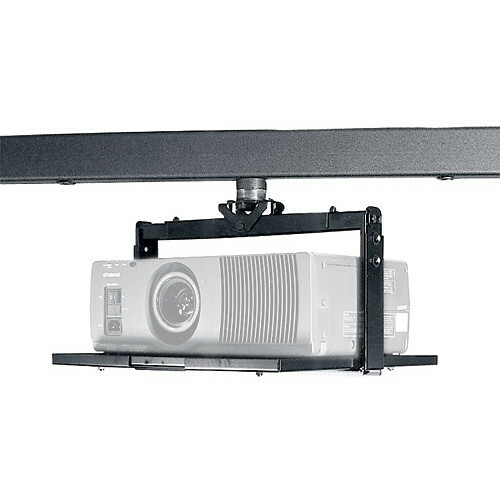 Three mounting methods ensure that the unit attaches the projector to almost any ceiling surface. To confirm the compatibility of this mount with your projector, please visit Chief's MountFinder Pro. Box Dimensions (LxWxH) 24.0 x 14.0 x 12.0"